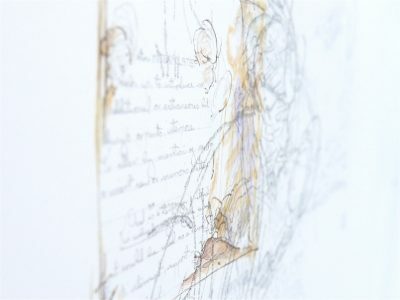 Caroline Ali, Interpolated Drawing 1 (detail). Caroline Ali, Interpolated Drawing 2 (detail). 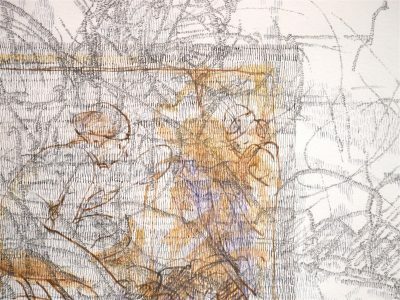 Caroline Ali, Interpolated Drawing 3 (detail). 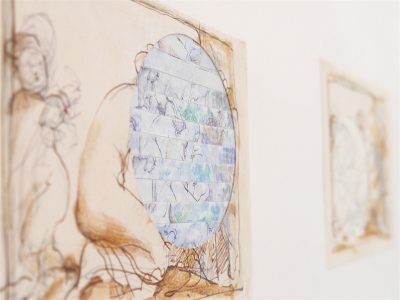 Caroline Ali, Interpolated Drawing 4 (detail). 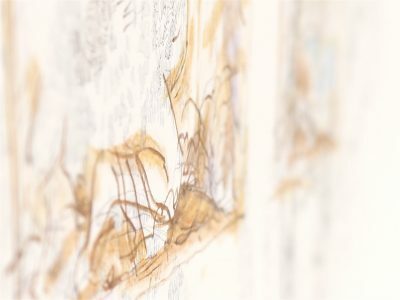 Working with selected drawings in the archive of Charles Sims R.A. (1873-1928) at Northumbria University, these images are part of an ongoing series of drawings and collage that imagine possibilities for reintegration of drawings one into another.